Pinot Noir California: The 39th parallel runs through the heart of California wine country and is home to Line 39. Here we craft wines expressive of their dynamic region. Grapes from the best winegrowing regions throughout California were used to make my style of Pinot Noir, a wine rich in flavors of berries and cherries with soft tannins. - Salut! - Bob Broman, Winemaker. 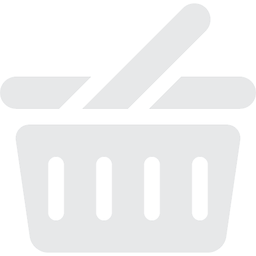 cecchettiwineco.com. Alc. 13.0% by vol. Vinted and bottled by Line 39 St. Helena, CA. 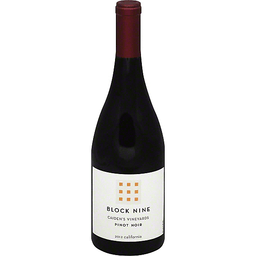 At Block Nine we are dedicated to making only Pinot Noir. blockninewine.com. Alc. 13.1% by vol. Cellared & bottled by Block Nine, St. Helena, California. Decoy Sonoma County 2011 Pinot Noir. Duckhorn. Portfolio. ALC, 13.9% vol. The everyday wine for the well-informed. 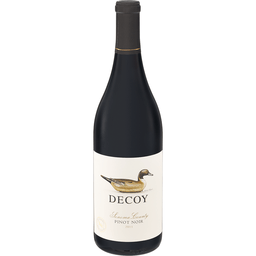 Decoy by Duckhorn Wine Company. 707-963-7108. www.decoywines.com. Contains sulfites. 750ml. A+D Anthony & Dominic Napa Valley Pinot Noir 2013. 750 ml. Through the years, our family has instilled their values, traditions and winemaking standards in the next generation. They also passed down two names that appear throughout our family tree; Anthony and Dominic. This release is a tribute to those that carried our names before us. We believe this Point Noir's fruit driven flavor profile, berry and spice accents, medium body and satisfying finish would have been welcomed by any generation at our family's traditional sunday dinners. Anthony Dominic Scotto III. Paul Anthony Scotto. Michael Anthony Scotto. Visit www.scottocellars.com. Estate bottled. 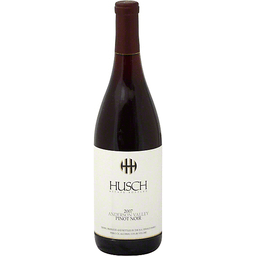 Husch is a small family-owned winery in Anderson Valley, on the way to the coast of Mendocino. 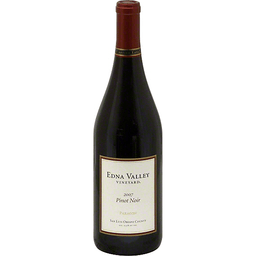 Our Pinot Noir has aromas of cherries and cloves with a spicy finish. 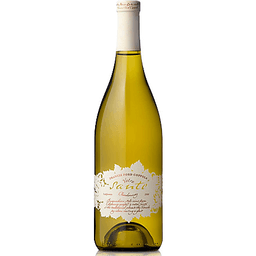 It was fermented in small lots and aged 9 months in French oak. Alcohol 13.9% by volume. Our vineyard enjoys California's longest and coolest growing season, thanks to sea breezes funneled inland through Edna Valley. 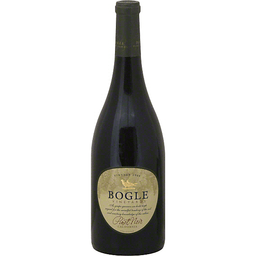 This luscious Pinot Noir is complex with cherry, plum and pomegranate flavors complemented with a hint of spicy oak. Enjoy with a variety of foods from grilled seafoods and game hens to lamb chops and rich pastas. Alc. 13.9% by vol.